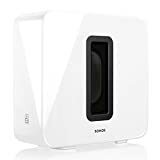 Sonos Sub – Wireless Subwoofer that adds bass to your home theater and your music. 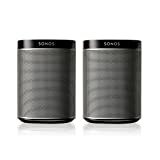 - Adds dramatically deeper base to any Sonos wireless speaker. Hear parts of the music you've never heard before. - Two force-cancelling speaker drivers positioned face-to-face offer deep sound with zero cabinet buzz or rattle.